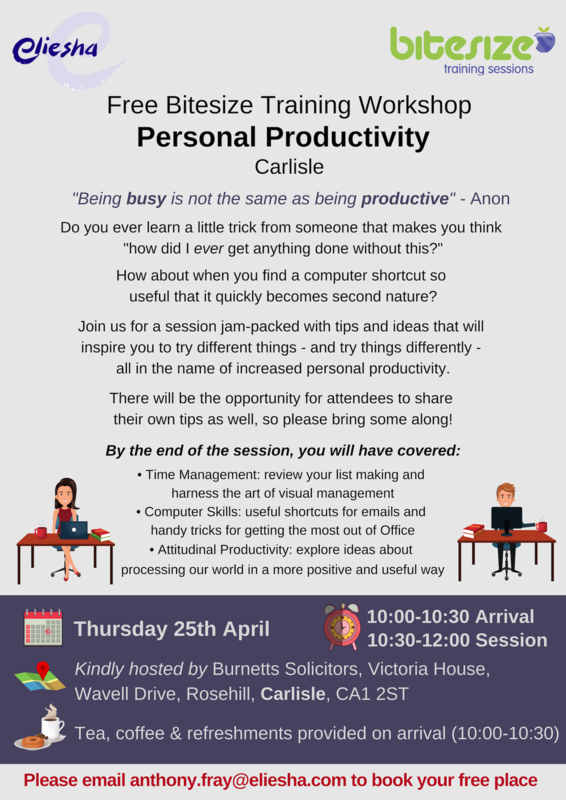 Join us for this free Bitesize Training workshop hosted by Eliesha training at Burnetts' head office. Burnetts' head office is in Rosehill Industrial Estate. Victoria House, Wavell Drive, Rosehill, Carlisle, CA1 2ST. Telephone: 01228 552222. A map is available at http://www.burnetts.co.uk/contact/locations. Use the left and right arrows to view events by month, or click on a date to view events on that day.